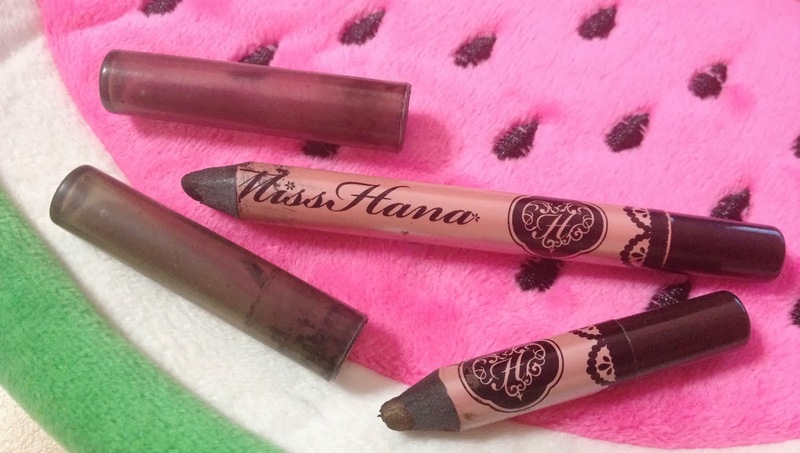 I've been diligently using up stuff so here's a review of a popular eyeliner pencil (more popular to the Asian following) that originates from Taiwanish Hong Kong.... because I don't exactly know where. I got it on Qoo10 and I believe that its not a fake since it worked well! I forgot how much it costed though. I use this eyeliner daily for work, and it lasts about 6 hours before transfering just a little to my under waterline. 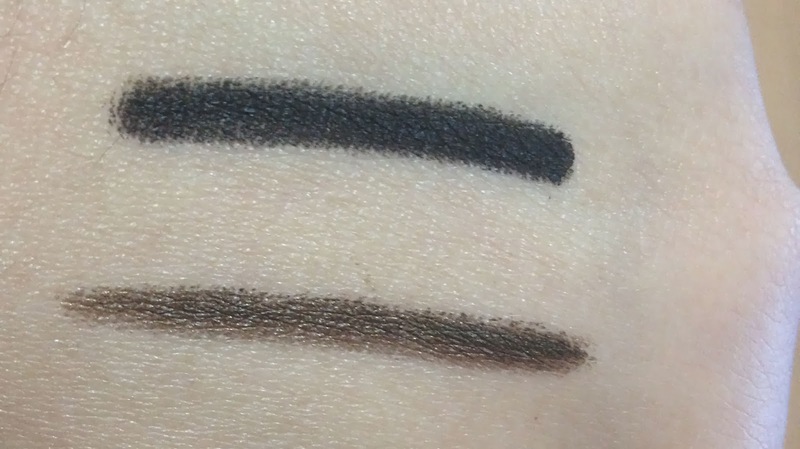 I use mostly the brown one (thats the shorter one) because the black is really intense, and it makes me look too fierce >:( The brown one looks like black when applied, I guess its because it blends together with my eyelashes and yeah. The formula is soft and creamy, goes on easily, waterproof, smudgeproof blablabla but like I always say, it depends on your own skin type so do not quote me if it does not work with you :P It is currently my favourite eyeliner, unexpectedly. I tried many pencil eyeliner which gets good reviews, like UD's 24/7, MUFE Aqualiner, Etude House, Face Shop, Solone and Shu Uemura but they always disappoint me at the end of the day. I never used any pencil eyeliner this much! To justify: I don't have very oily lids, but I do have very teary eyes (because I tear a lot.. because I yawn a lot.. because I'm always sleepy :P) so my lashline needs a super waterproof eyeliner. And smudge proof is also an important factor because I wipe my eyes a lot, since I tear a lot. I work in an air-con environment, and I believe it helps in the lasting factor as sometimes I wear it out in Singapore's heat and it transfers in about 4 hours. So I give this eyeliner.... 4/5! Waterproof, smudge proof, affordable, long lasting. I like to review stuff only when I'm very sure of it, and that probably means until I'm somewhat done with a product. Let's see what I'll use up next! Hehehe thanks for reading! the face shop make me star liner lasts on my oily lids all day long. try it.